1st item: FROST, John. 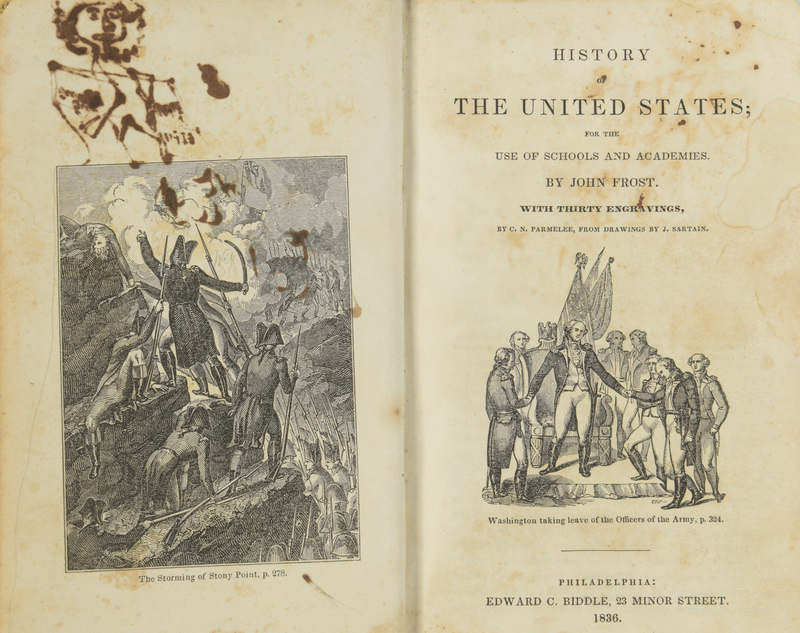 History of the United States; from the Use of Schools and Academies. 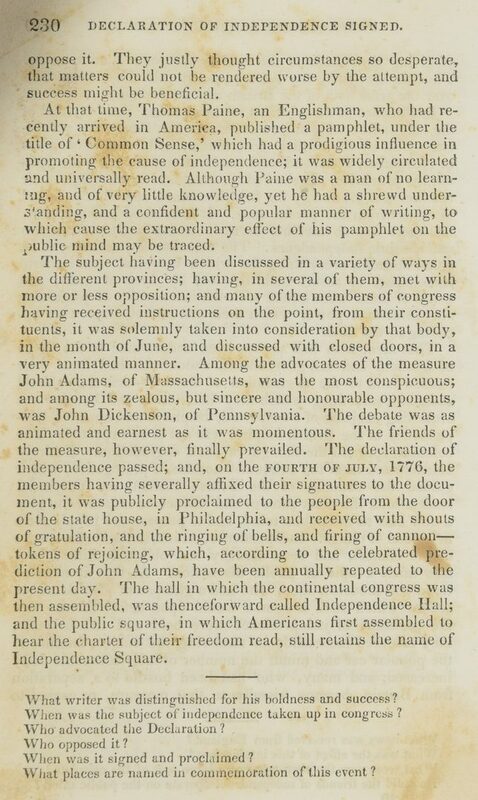 Philadelphia: Edward C. Biddle, 1836. 4 3/4" H X 7 1/2" W (Duodecimo). 458 Pages. First Edition. 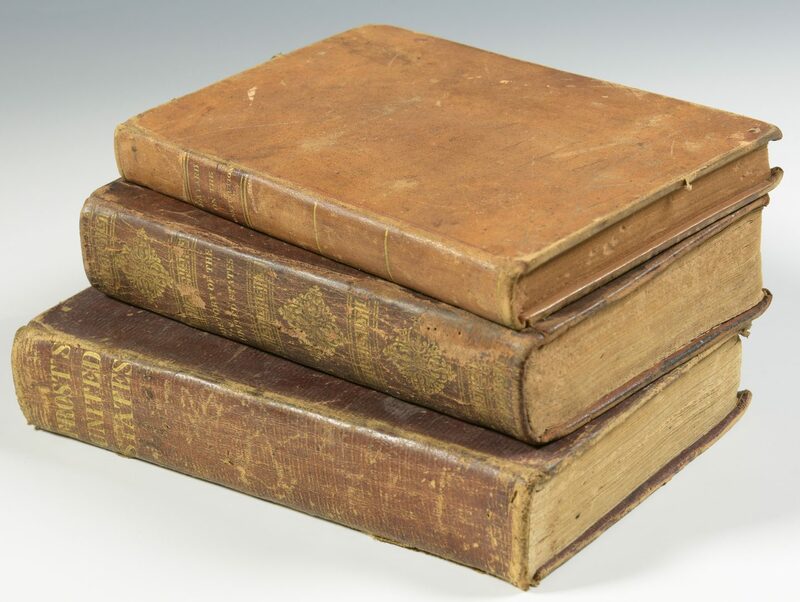 Original leather boards with gold gilt title on spine. 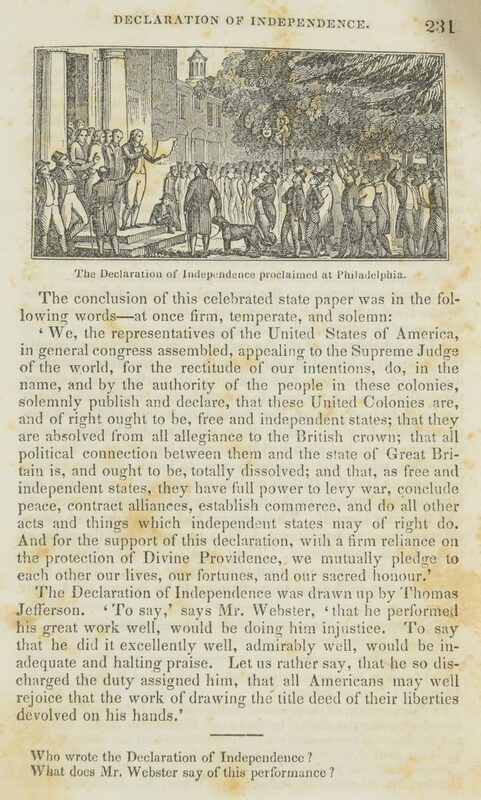 Book has several vignette engravings and a full 1836 printing of the Declaration of Independence. Front pastedown signed by Edward Hicks in ink. Front endpaper bears another signature and "doodling" in the hand of Hicks. Initialed "C C D a" in brown ink, edges of pages. Fair condition. Rear endpaper torn out. 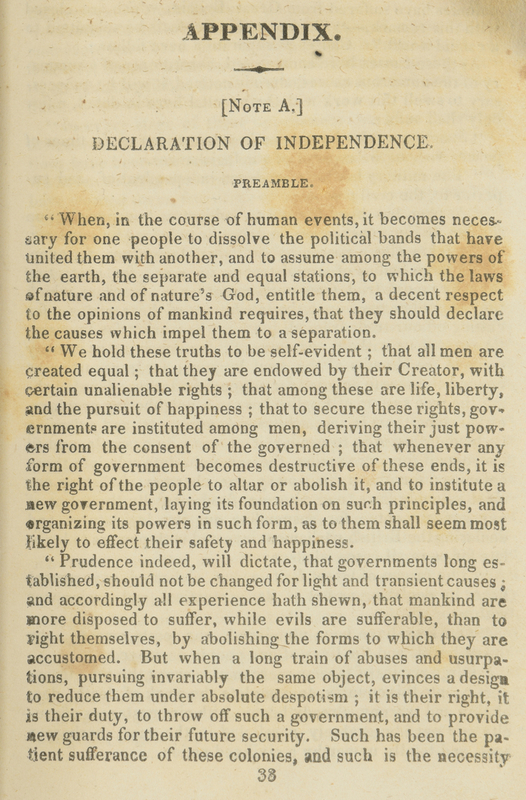 Text is complete, but quite foxed and worn at edges. Boards scuffed and worn and rear hinge cracked. 2nd item: BUTLER, Frederick. 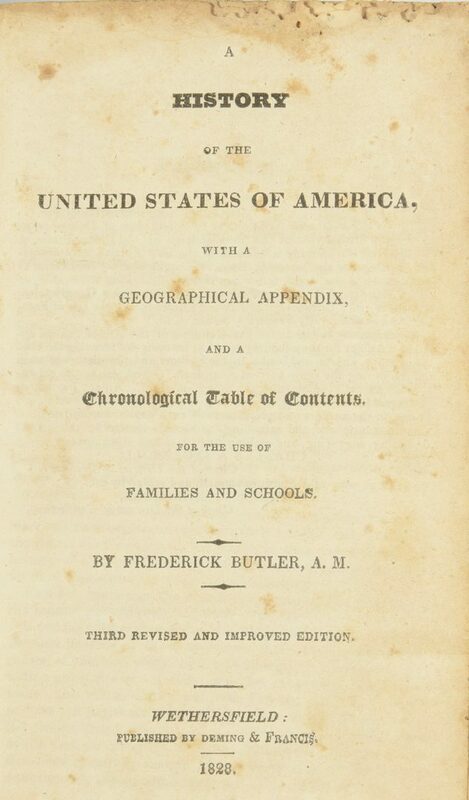 A History of the United States of America, with a Geographical Appendix, and a Chronological Table of Contents. For the Use of Families and Schools. Wethersfield: Deming & Francis, 1826. 4 1/4" H X 7" W (Sextodecimo). 452 Pages. Third Edition. 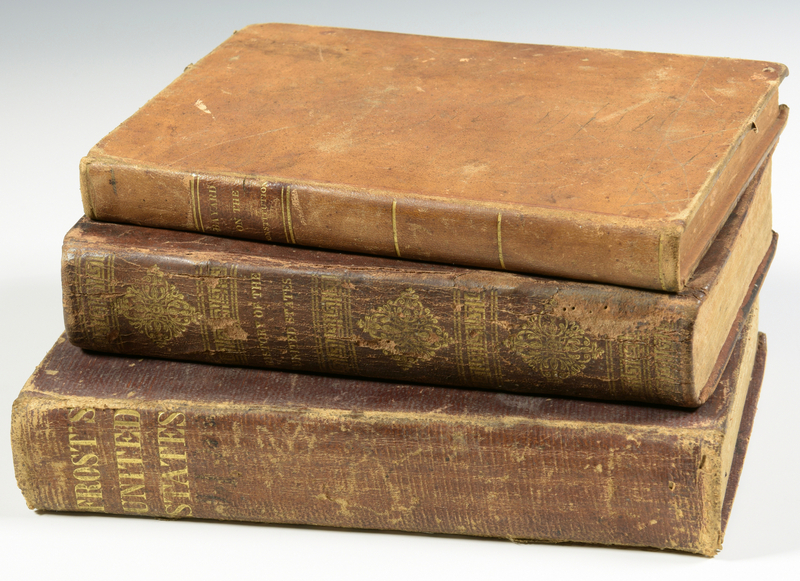 Original leather binding with gold gilt tooling and title on spine. 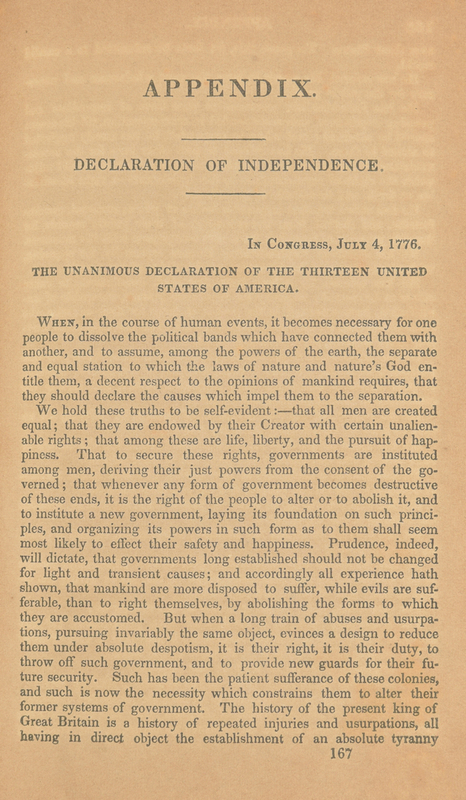 Contains a full and complete 1826 printing of the Declaration of Independence. Good condition. Evidence of insect damage to first two edges of first few pages. Foxing and toning throughout. Boards scuffed and worn. Wear and losses to spine. 3rd item: BAYARD, James. 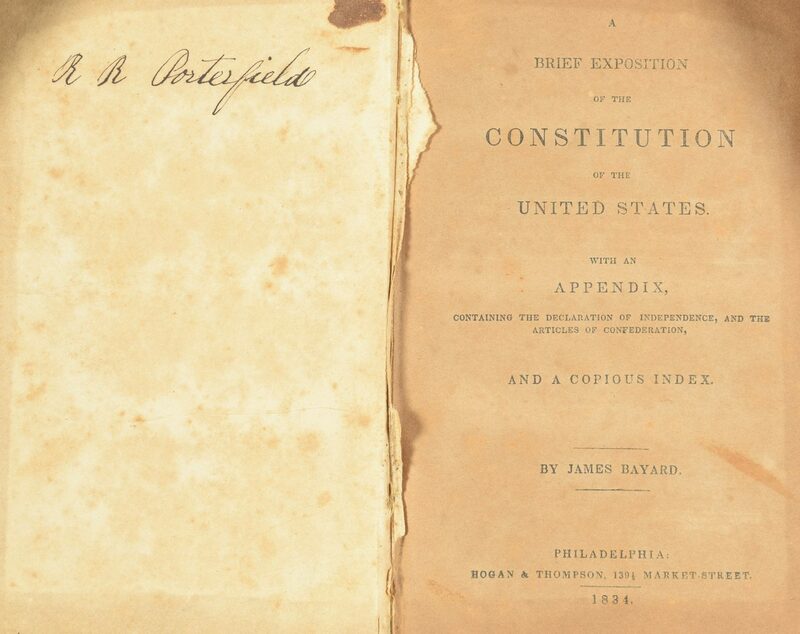 A Brief Exposition of the Constitution of the United States, with an Appendix. 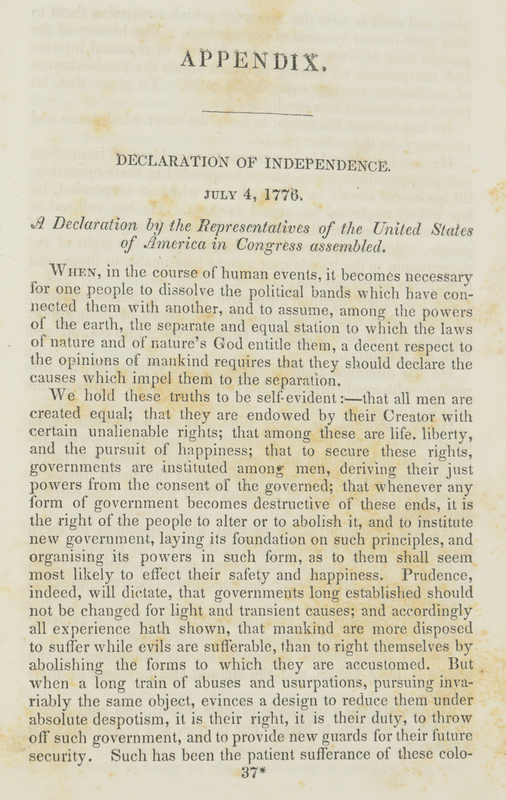 Containing the Declaration of Independence, and the Articles of Confederation, and a Copius Index. Philadelphia: Hogan & Thompson, 1834. Right at 4 1/4" H x 6 1/2" W (Octodecimo). 178 Pages. Second Edition. Full and complete 1834 printing of the Declaration of Independence. PO name on inside front board. Period leather with red leather spine label. Good condition. Front and rear endpaper removed. Toned throughout. Binding a bit scuffed. Provenance: the estate of Sarah Hunter Hicks Green, formerly of Historic Devon Farm, Nashville, Tennessee. CONDITION: See description.